Have you ever considered a career in accounting? 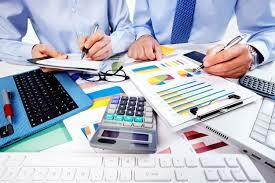 In your considerations have you ever wondered if there is an aptitude for accounting? Do you have the accounting aptitude? If so, what does this mean about the choices you make in school, work, and your general life? 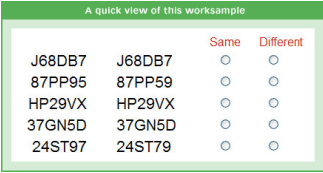 Remember that different aptitude test publishers refer to the same aptitude using different names. For example, Johnson O’Connor calls the accounting aptitude “graphoria.” The Highlands Ability Battery, on the other hand, calls it “visual speed and accuracy.” The accounting aptitude, according to Johnson O’Connor, is essentially “paper and pencil speed and accuracy. It is measured by the number-checking test, in which you compare two columns of numbers to see whether they match.” Those who finish quickly and accurately will receive a higher score. The aptitude is important in any kind of clerical task, such as filing, record keeping, balancing a checkbook, filling out forms, taking a multiple choice test, etc. Maybe you already know you have the accounting aptitude. You might have noticed that you don’t struggle handling lots of papers, or lots of words or numbers on a piece of paper. If you are married, you should probably be the keeper of tax, medical, school, insurance, and other records. It isn’t a burden on you – it’s a natural ability. Depending on your other aptitudes, personality, and interests, you may do well in jobs that involve a great deal of paperwork: accounting, banking, bookkeeping, secretarial work, law, etc.. Remember that one aptitude is only one small piece of finding the perfect job for you. The accounting aptitude is “particularly important to schoolwork. Low graphoria students tend to take longer to finish tests and do homework. They may have trouble taking notes, and may make mistakes on tests simply through clerical errors [meaning to mark A but marking B instead]. The results is that a typical school is generally harder for the low-graphoria person; there is less return for the effort expended, and perhaps ultimately this brings about a feeling that school is a waste of time,” according to Johnson O’Connor. For those with low visual perception, we recommend taking steps to lessen its effects. For example, use a calculator instead of working out simple arithmetic problems on paper. Use a tape recorder to record lectures rather than trying to take notes. Instead of going slowly and painstakingly through your homework, do it quickly once and, as time allows, do it over again. Don’t keep stopping to check your work as you do it. The person with low graphoria often makes a mistake when starting again. Speeding up in doing a clerical task helps you maintain your concentration and therefore can help reduce errors. We also recommend that students who score low in graphoria consider going to a small or non-traditional school rather than a large one. A smaller class size will generally put less emphasis on written work as the sole basis for judging you learning and performance. There may be less multiple-choice tests or Scantrons. If you are a woman and score low in graphoria, you may consider a co-ed school as opposed to an all-girls’ school. This is because women tend to score higher in graphoria than men, and at an all-girls’ school you would be at a disadvantage compared with your classmates. Graphoria should be only one factor to consider when selecting a school. It is an important factor, however, of which teachers, parents, and students often are unaware. Knowing that you score low in graphoria can be of great help in avoiding unnecessary school problems. If you recognize that clerical mistakes contribute to a poor school performance, but you still wish to pursue higher education, find a college with a more holistic way of gauging academic performance. And, of course, find a job that avoids this aptitude so that you do not struggle and have performance issues. Inversely, for those with high graphoria, there may not be a reason for you to avoid a test-heavy, paper-work heavy university. And, depending on your other aptitudes and interests, accounting may be the right job for you! Once you have weighed your personal reasons for getting into accounting, it’s time to look at other factors. One area of research for you to conduct is the career outlook. A site like the Bureau of Labor Stastics is a good place to start. Accounting is growing faster than average (about 11% per year), which means there are plenty of jobs to be had. Furthermore, the work environment is important to consider. According to The Career Profiler, a career coach whose husband is an accountant, many accounting firms hire remotely or prefer accountants who work from home. This may be attractive to you if you have a family, many responsibilities at home, or if you are an introvert. Again, your other aptitudes and personality test results will help inform you about if the work environment will suite you. These many factors are all important to explore; a career coach like The Career Profiler can help you decide what tests to take and what your results mean. Now you know there is an accounting aptitude! If you think you have this aptitude, you now know how to make it work best for you. Maybe you don’t have it, but you can still take steps to avoid having to use it. Or maybe you are really not sure! In that case, find out your graphoria score by taking The Highlands Ability Battery today. You’ll get your score and a list of careers that cater to all your aptitudes. Remember that the perfect job for you depends on all three: your aptitudes, interests, and personality. You cannot find the right job based solely on whether or not you have graphoria. Explore the many different types of test that TestEts offers, including test packages like The BullsEye Career Program, to get the full picture of whether or not accounting is right for you.